Here in Dallas, we know the national media will soon move on to the next crisis. 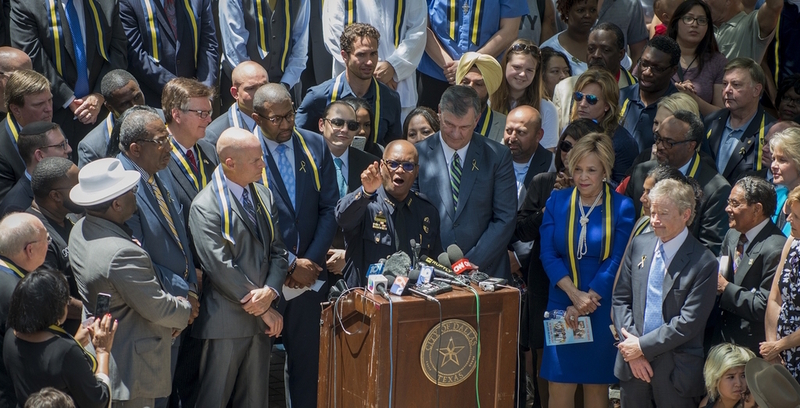 After the July 7 shooting that left five Dallas police officers dead, it would be easy for all of us — especially those of us who are white — to retreat from this difficult conversation about race and move on with our lives. I truly hope we will resist the urge. Rather, let us actively seek new ways to engage in these conversations about race so we can strive to understand and consider the perspectives of all in our community. As a white woman who loves my city, I acknowledge that its hard for me to hear about Dallas’ racial history, but hear it we must if we intend to move forward from these most recent acts of violence. We can and should continue to mourn for the slain police officers and their families, while at the same time recognizing our own complicity as a nation and a city in what led to this despicable act through our passive acceptance of racial disparities. The history of racism in Dallas and our country has systematically limited, if not completely deprived, people of color the opportunity and hope to thrive in their own community. Our city’s schools are segregated and inequitable; we are suspending black children as early as kindergarten at an exponentially higher rate than other students; 1 in 3 children in Dallas lives in poverty and the vast majority of those children are black and brown; and the school-to-prison pipeline is a tangible reminder of those who have been doomed by systemic racism. We must face these realities and participate in the remedy. The racial disparities in our education system, in our housing system, in our mental health system and in our justice system are not something we can ignore or sit on the sidelines and hope they will go away. Until we understand and acknowledge these disparities we will not move forward as a nation, and we certainly will not heal as a city. 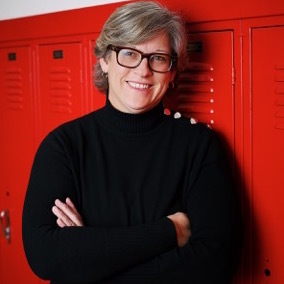 As executive director of Leadership ISD, an organization designed to engage citizen leaders from many different backgrounds and industries as advocates for educational excellence and equity, I spend a good deal of my work helping people navigate difficult and polarizing topics so they can advocate for students. I do this by putting our participants in the position to understand and practice civil discourse during every monthly session. One technique I’ve found effective in my years of work with our leaders is to employ an approach to mediation that encourages civil discourse by empowering the disputing parties and enhancing each party's recognition of the other. This approach strengthens people's capacity to see and consider the perspectives of others and enhances each party's responsiveness. As I try to make sense of the polarizing viewpoints I have heard — for instance, that we must either Back the Blue or support Black Lives Matter but not both — I remember how and why we have trained our leaders over the past six years in consensus building. Consensus is neither compromise nor unanimity — it goes much deeper into empathetic dialogue to understand everyone’s best ideas and key concerns, a process that often results in inspiring solutions including both the individual and the community. We don’t have to agree with everything either side represents, but we do need to find understanding and the empowerment to move forward together as a community. For me, that means recognizing that all lives matter when black lives matter. I am often asked whether simple discourse can do anything to help us repair the damage of racism — in other words, when does conversation turn to action? As a white person who has never lived the reality of racism, my answer is that in order for civil discourse to happen, those of us who enjoy more privilege must be brave enough to continue the conversations, recognizing our own limitations and becoming allies in empowering all the voices in our city. Civil discourse can be transformative and build consensus in our community, and I believe it will be the key to social change around race.